performance metrics you need for your AR campaigns. Auto-capture the most important data metrics right out of the box with super easy Integration into your AR project. Compare different CTAs, assets and campaigns to learn what performs well and what doesn’t and drive improvements to your AR campaigns. 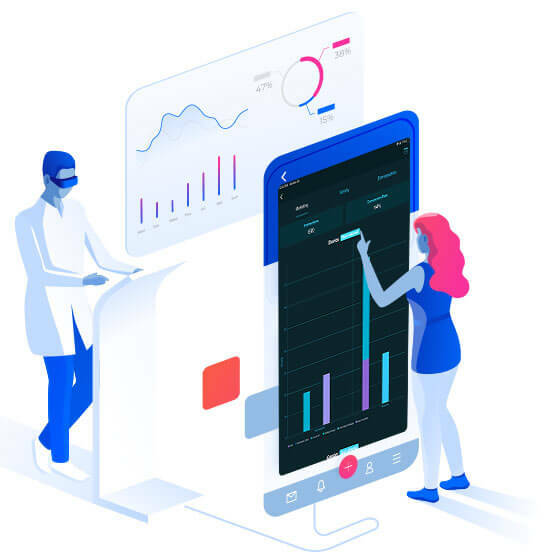 Track users interactions, where they spend more time, and how they interact – everything in real-time with EvolveAR Analytics. Make impactful business decisions with EvolveAR Analytics. 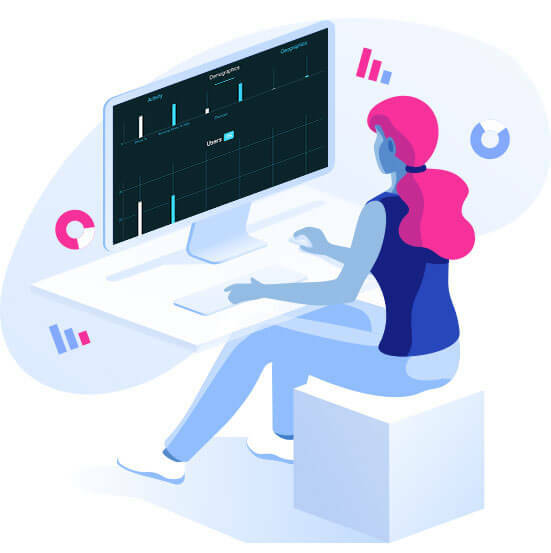 Our automatic data dashboard and reporting tool, gathers historical and real time data, along with the external knowledge bases, to perform machine learning algorithms and predictive modeling on the figures. 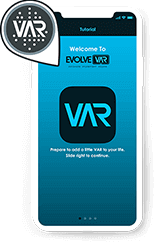 Thus offering you the insights that can improve the ROI on your EvolveAR-powered campaign in real-time. 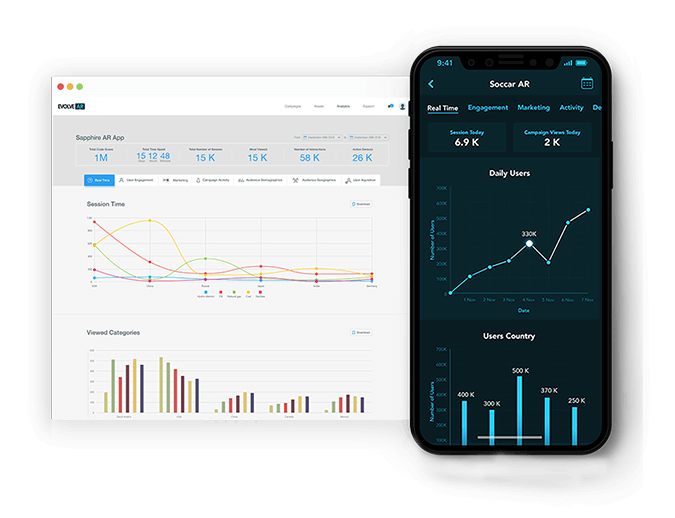 EvolveAR Analytics is a real-time intuitive app designed for on-the-go decision makers to run the business without ever looking at a computer screen. 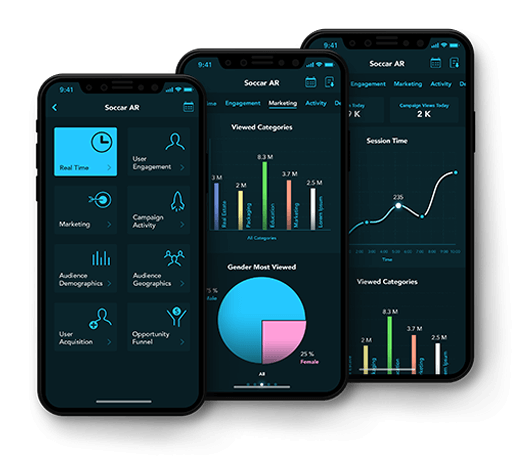 The product gives you access to your live campaign insights and all the gears you need to explore, drill, analyze, annotate, and do more with your AR campaign. It also helps you get more out of your data investment and get an edge over the competition—NO DATA SCIENCE DEGREE REQURIED! 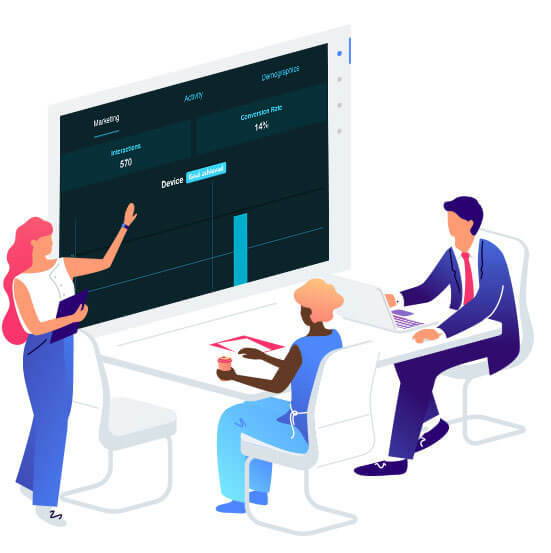 EvolveAR Analytics captures human interaction through our in-house Ai programming enabling real-world insights from digital realities. The product help businesses and agencies understand their users in digital AR experiences. 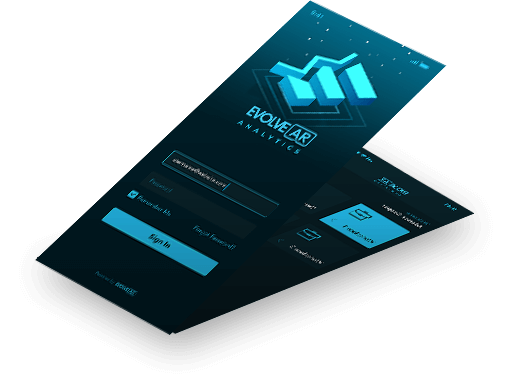 Our analytics technology surfaces brand new behavioral metrics designed specifically for augmented reality.